The DMC-12 has cemented itself as one of the most iconic vehicle designs of all time, despite being the only product of the ill-fated Delorean Motor Company as established by former GM prodigy John Z. Delorean. Giugiaro, who had already established a beautiful repertoire of wedge-shaped vehicles – such as the Volkswagen-Porsche Tapiro and the Lotus Esprit – absorbed the best elements into the DMC-12’s design – arriving at a slick, angular, stainless-steel clad and famously gull-wing accessed body. 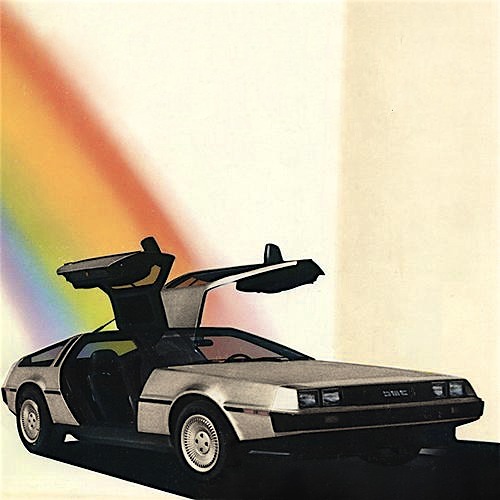 The marketing campaign implored the public to ‘Live the Dream’ and the DMC-12 certainly offered Italian flair, a visionary future and a new dimension to the American sports car market – only to be immortalised not by production numbers (which fell shy of 10 000) but filmically through the Zemericks-directed Back to the Future trilogy (1985-90).